Parts of this article appear in print in the June 2018 issue. Click here to subscribe. Despite a few freshman hiccups, last year’s inaugural Upstream Music Fest + Summit, the music and tech conference dreamed up by Paul Allen and featuring some 300 Pacific Northwest bands and keynote speakers (such as Macklemore and Quincy Jones), was a success. The event returns to Pioneer Square with slightly larger ambitions, including a bigger mainstage, and national and international touring acts such as R & B pop vocalist Miguel, psychedelic weirdos The Flaming Lips and indie roots powerhouse Valerie June. Yet regional music remains the focus, and passionate, homegrown music booker Meli Darby and her massive team of guest curators (record label Sub Pop and Krist Novoselic, for example) have again assembled a weekend that celebrates the sounds, bands and artists that make Seattle the legendary music-making mecca it’s been for decades. If you're going, you have tough decisions to make. Tickets to festival don't come cheap (at press time, single day passes started at $70 plus fees) and there's three full days of tunes to pick from--not to mention all the speakers and discussions happening as part of the conference. What's a music-obsessed fest-goer to do? Looking at just the music, if you're going to do just one day, Sunday looks like a square deal--lots of marquee Seattle acts alongside a genre-crossing and decade-spanning blend of internationally-known bands. You could post up for every single headliner that day (across the two main stages this year) and make a day of it. 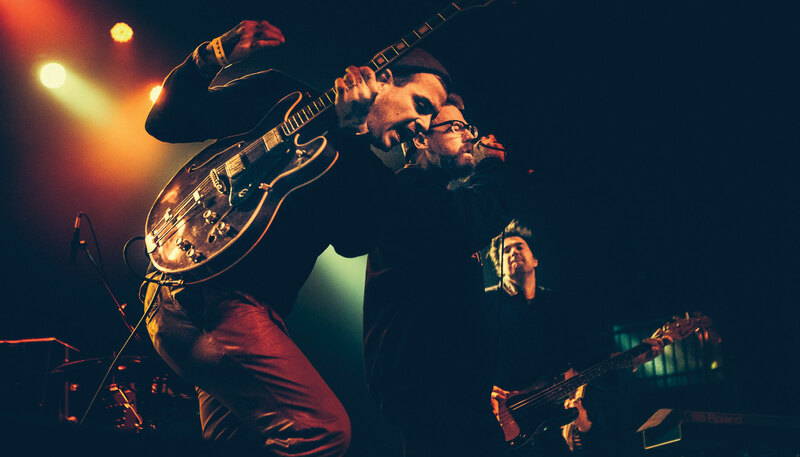 But we recommend a healthy mix of headliners in addition to legacy Seattle rockers Murder City Devils and blissfully dreamy electro pop act NAAVI. Our best advice is to keep the schedule loose so you can follow the music as it moves you (or your friends when everyone's going to grab a bite). We recommend running shoes or comfortable sneaks to keep you pivoting with ease--or for sprinting across Pioneer Square when you have a band to catch. Khu.éex’: This jammin' sleeper of a Seattle supergroup (Skerik, Preston Singletary, Gene Tagaban, Randall Dunn and others) channels Santana and the Tlingit spirit in seamless blend of jazz and funk. Zola Jesus: An expansive electronic composer and vocalist whose 2014 album, Taiga, was recorded on Vashon island. Y La Bamba: Vibrant polyrhythms and achingly gorgeous vocals from soulful frontwoman, Luz Elana Mendoza. Can Can's Femme Fatale w/Prom Queen: Outtakes from the Can Can Cabaret's new production featuring doom-wop Seattle vocalist, Prom Queen. Skerik Band Featuring Thione Diop: If you have never seen prolific PNW sax legend Skerik or talking drum maestro Thione Diop, you can not call yourself a true Seattleite. Giants in the Trees: New mossy forest rock from Krist Novoselic. Kyle Craft: He is either the second coming of Ryan Adams or Bob Dylan, possibly both. Selector Dub Narcotic: If you've lived in the Pacific Northwest for 10 years or more, you've seen K Records founder Calvin Johnson somewhere (shopping at the store, busking, in a crowd somewhere). The man gets around. Make it official and see him on stage for one of his signature, ever-evolving, one-man bands. SassyBlack: Since leaving astral planing hip-hop duo THEESatisfaction, producer and vocalist Catherine Harris-White has settled into a comfortable funk groove. Mirah: This Brooklyn vocalist has an operatic way with words that calls to mind cult songwriter, Kate Bush. Colleen Green: The one-woman laptop-rocking millennial answer to '90s bands such as Hole or Weezer. ParisAlexa: A silky smooth R&B artist and the next big thing to come out of Seattle, having just released her debut EP, Bloom, this year. 6/1–6/3. Times and prices vary. Pioneer Square, Occidental Square, Occidental Avenue S and S Main Street.